POLL: Do you watch streaming movies and videos? Sample notification from Comcast to customers about the 300 GB data cap plan. Comcast will begin charging extra next month for Chattanoogans who stream too many movies or otherwise use more than 300 gigabytes of data a month. The new data cap will initially impact only about 8 percent of those who rely upon Comcast for their Internet connections in the Chattanooga area and Comcast is offering a three-month courtesy program that won't bill users extra for the first three times a user exceeds the monthly cap. 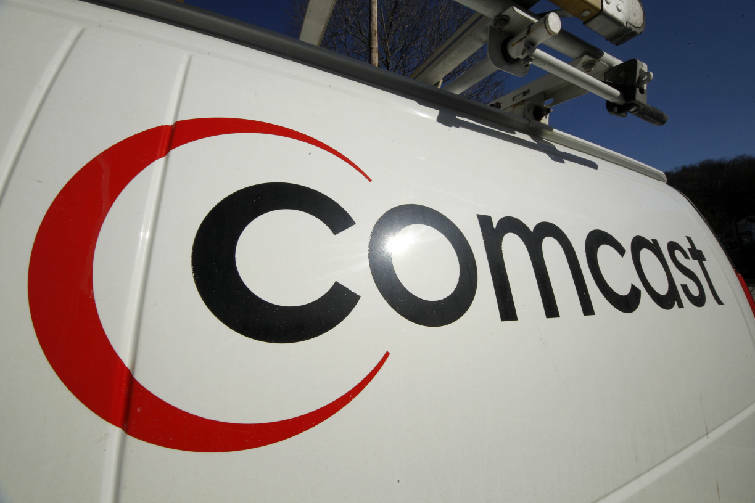 Thereafter, however, heavy data users of Comcast's Xfininity Internet data plan will be charged an extra $10 for every 50 gigabytes of data used above the monthly 300 gigabyte-allowance, Comcast spokeswoman Sara Jo Walker said today. The Comcast logo is displayed on one of the company's vehicles. Comcast customers will have the option of buying unlimited data plans for an extra $35 a month. Comcast, the biggest cable provider in America and in the Chattanooga region, joins the No. 4 player in the industry, Cox Communications, in offering tiers that vary in price depending on data use. "Very few of our customers are impacted by data plans, but for those who are we are offering an unlimited data plan for only $35 a month," Walker said. Walker said the change is designed to better align the costs of providing service with those who use the most of that service. Currently, about 10 percent of Comcast Xfinity Internet users consume 50 percent of the data carried by Comcast. Xfinity customers that stream a lot of movies or games or download data for at-home businesses are most likely to hit the data caps. The new fees for heavy data users in Chattanooga, which begin next month, are similar to what Comcast has already implemented in Nashville, Atlanta and several other cities. Three years ago, Comcast lifted its previous 250 gigabytes cap on data. In a mailing to Comcast customers today, the cable giant advised customers that it will give notice to users when they approach or exceed the new 300 gigabytes monthly cap. "If you are on the 300 gigabytes plan, we will send you a courtesy "in-browser" notice and an email letting you know when you reach 90 percent, 100 percent, 110 percent and 125 percent of your monthly data usage plan amount," Comcast said in its customer notice. "You can also elect to receive notifications at additional thresholds as well as set up mobile text notifications." EPB Fiber Optics, which also offers high-speed Internet services in Chattanooga, charges a basic monthly fee for its data plans and has no plans to meter such service. "We have never had data caps and we have no plans to adopt them," EPB spokesman John Pless said today.